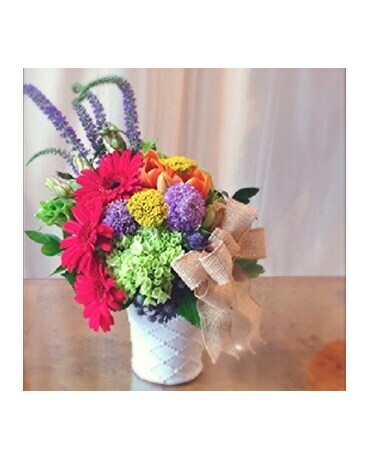 A bright and cheerful arrangement of colorful mixed blooms such as hydrangea, gerber daisies, roses, bells of Ireland and other floral accents. Your arrangement will be inspired by the featured design. Flower types and colors may vary due to seasonal availability. Where substitutions are made, blooms of similar or higher quality will be used.